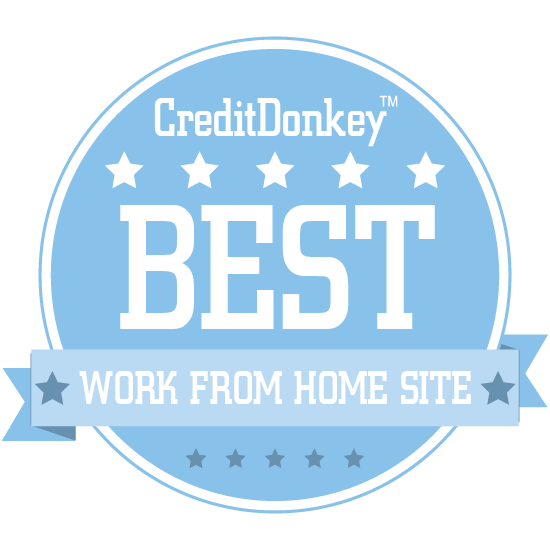 Winners of the CreditDonkey Best Work from Home Sites have been announced. Read our list for the resources to start and grow your dream business. It wasn't easy to narrow down our list. There is an almost infinite number of work from home sites online. But many are as useful as a lead balloon. Instead, we've put together a list of the best work from home resources. They offer current insights, flexible legitimate opportunities and personal stories that can help you make this lifestyle successful. Wherever you work from, your time is precious when you're on the clock, and we don't want you to waste it. These brilliant sites are on a mission to give work-from-homers solid advice as they grow and build their business. Did you know: At CreditDonkey, the credit card comparison website, we understand the challenge as we play close attention to the financing needs of small-business owners, many of whom keep their business going through credit cards. They need to know what others like them are doing so that they can not only keep the lights on in their home office, but figure out to build up their business to make it thrive. Check out these resources for tips, advice, inspiration, and the latest trends about working from home. The blog is part of a larger community for working mothers, which provides resources and advocacy for women balancing work and family. Why Working Mother is a Top Work from Home Resource: Essential tips and advice for working women at all stages of their careers, including how to find balance and make the most of your work life. One of the largest freelance websites runs a blog where you'll find the latest news on remote work, freelancing trends, and Upwork. Why Upwork Blog is a Top Work from Home Resource: Gain insights on the future of work and get skills to build a freelance business, including how to interact with clients and market yourself. Hubstaff is a resource for entrepreneurs who are building digital businesses, with tips for content marketing, supervising remote employees, and more. Why Hubstaff is a Top Work from Home Resource: Small business owners and entrepreneurs with remote employees will find great suggestions here for hiring, time tracking, and more. Successful freelance writer Carol shares practical information on exactly how to earn money as a freelance writer. Why Make a Living Writing is a Top Work from Home Resource: Carol covers self-publishing, blogging, and freelance writing. She provides practical tips to find success. Website building company Weebly blogs with tips on how to build an effective site for your home business. Why Weebly Blog is a Top Work from Home Resource: Stay up-to-date on top web features and SEO marketing techniques. A hub for software engineers, designers, and entrepreneurs, Toptal shares tutorials and trends. Why Toptal Blog is a Top Work from Home Resource: The emphasis on engineering and design will help freelancers stay ahead of the competition with resources to build their work-from-home careers. Sean is all about helping people develop a business where they can work anywhere in the world. Why Location Rebel is a Top Work from Home Resource: No matter your situation or motivation, Sean has tips to provide workplace freedom, especially when it comes to blogging and building a business. Named one of the best websites for your career, Holly writes about issues relating to work-from-home moms. Why The Work at Home Woman is a Top Work from Home Resource: Get empowered with posts and resources for work/life balance and a huge variety of legitimate work-from-home opportunities with honest reviews. The Fiverr blog reaches out to creative types, and includes work examples and case studies. Why Fiverr is a Top Work from Home Resource: Get tips and inspiration from other people working at home and learn how to market your business and manage your time. Carrie built a community of freelancers and entrepreneurs to show that you can build your own career outside of an office; her blog shares top experiences and ways to get ahead. 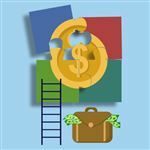 Why Careful Cents is a Top Work from Home Resource: Find great information and technology tools to take your home and freelance business to the next level. With a photo-centric design, the blog by Adobe includes tips for creatives, including how to manage a home art career and how to use images to your benefit. 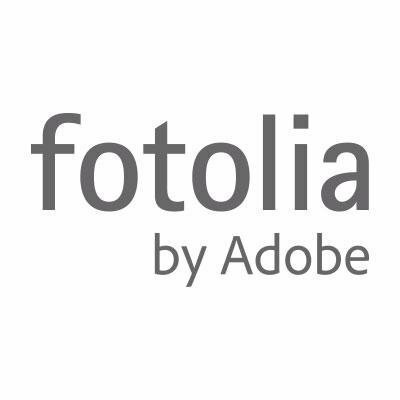 Why Fotolia is a Top Work from Home Resource: Stay engaged and inspired with bright images and useful work-from-home and general knowledge tips. Dedicated to outplacement, the blog from RiseSmart aims to make readers smarter and more informed about their career options. Why RiseSmart is a Top Work from Home Resource: Read multiple opinions and research about issues facing employees and how to adapt to an outsourced world. Providing people the freedom to build a career from home, the PeoplePerHour blog includes industry news and research to better your career. Why PeoplePerHour Blog is a Top Work from Home Resource: Get inspired by other freelancers and find tips to make working from home work for you and to build a successful home career. Students and teachers from around the globe come together on the platform to learn new skills, ranging from design to technology, culinary, business and more. Why Skillshare is a Top Work from Home Resource: Read about inspiring people on Skillshare's blog who have turned hobbies into flexible businesses, learn a new skill, and find ways to improve your home business. Tutor.com connects tutors with students around the world and blogs about what it takes to be a great tutor. Why Tutor.com is a Top Work from Home Resource: Get an inside look at how the best tutors work and find ways to increase your tutoring work and more effectively reach students. Read: Ice Cream in the Jungle: How Do We Personalize Learning? Run by a company that connects tutors with students, the blog includes a wide variety of knowledge tutors can use to improve their interactions with students. 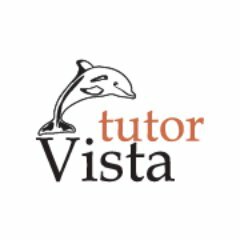 Why TutorVista Blog is a Top Work from Home Resource: Factoids and tips cover a variety of subjects, including science and math, that can be helpful for students. Read: What does Valence Electron mean? Work-At-Home Success has been providing telecommuting and home business information, including job leads and home income resources since 1998. Other features include profiles of successful home-based workers and experts tips to help people find success working at home. Why Work-At-Home Success is a Top Work from Home Resource: With proven tips and honest reviews of freelance companies, the blog helps you find the best ways to work and earn money from home. TaskRabbit connects freelancers and clients for chores done around the home such as cleaning and handyman services; the blog features stories of challenges and inspirational ideas. Why TaskRabbit is a Top Work from Home Resource: See working from home and unconventional work in action with news of fun "task" challenges around the country. Don't have enough time to launch your own business? Connect with freelancers on TaskRabbit to outsource your chores, so you'll have more time to work on your business. Read: What Does Your #LifeAfterChores Look Like? College Recruiter believes that every student and graduate deserves a great career. They are dedicated to helping one-, two-, and four-year college and university students and recent graduates start their careers on the right foot. College Recruiter features hundreds of thousands of internship and entry-level job posting ads and tens of thousands of articles, blogs, and videos with tips for finding the right job. Why College Recruiter is a Top Work from Home Resource: Resources for recruiters who want to hire college and university students and recent graduates as well as the candidates. Tom quit his office job for the freedom of working from home. He shares his experience and advice to help others do the same. Why Leaving Work Behind is a Top Work from Home Resource: Learn and be inspired with honest advice on how to be productive and successful from someone who took the plunge to work from home. 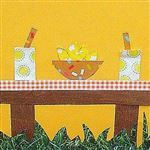 Judy blogs for anyone who wants to improve their work-from-home experience, including tips to connect with others and how to stay organized. Why Work from Home Wisdom is a Top Work from Home Resource: Learn from other freelancers to find out what works for them, from unique work-from-home jobs to how to deal with difficult clients. Improve your virtual assisting career with tips on everything from marketing to technology, all from a leading VA company. Why VAnetworking.com is a Top Work from Home Resource: The blog is a great way to get the skills and knowledge (especially on social media) you need to be an effective virtual assistant. Learn all about creating a portfolio career that you tailor to meet your needs and skills. The blog is written by successful authors and portfolio career leaders. Why Portfolio Careers is a Top Work from Home Resource: Get the tools to design a personalized career that is perfect for you and that prepares you for the future and retirement. Field Agent is all about research, and the blog includes recent consumer studies about shopping and top brands. Why Field Agent Blog is a Top Work from Home Resource: Get informed to make smart business and marketing decisions that reach the right people for sale of anything from toys to seasonal goods. This blog is dedicated to word-of-mouth marketing and shares how to build a blog or career through effective marketing. Why VigLink is a Top Work from Home Resource: Get inspired with the best promotions and marketing ideas from around the web with real case studies. Marge turned away from the corporate world to start a new career from home. She blogs about her experience and how others can follow in her footsteps. Why The Happy WAHM is a Top Work from Home Resource: Marge knows what it is like to be a homeschooler and WAHM, which helps her give great tips for working at home and balancing work and family responsibilities. 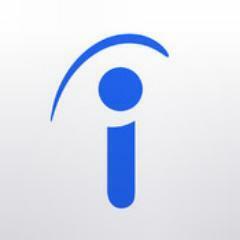 A national organization that gives independent workers a powerful voice through political action, research, and thought leadership. Freelancers share their best tips on everything from managing projects to keeping your workspace organized. Why Freelancers Union is a Top Work from Home Resource: Useful, practical tips for anyone working from home, plus fun exercises to get your creativity flowing. The blog is all about customer experience and how to improve customer and client relationships. Why TeleTech Blog is a Top Work from Home Resource: Learn how to apply customer experience tips to all kinds of situations and industries like healthcare, insurance, and more. The virtual assistant company blog includes news about business trends and how to engage with others while working from home. Why eaHELP is a Top Work from Home Resource: Take a look at a typical day for other executive assistants and find ways to improve your career and find success from home. 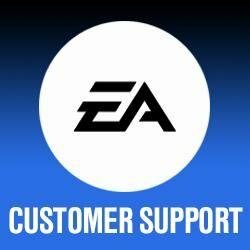 Read: Wanna Be an eaHELP Virtual Assistant? 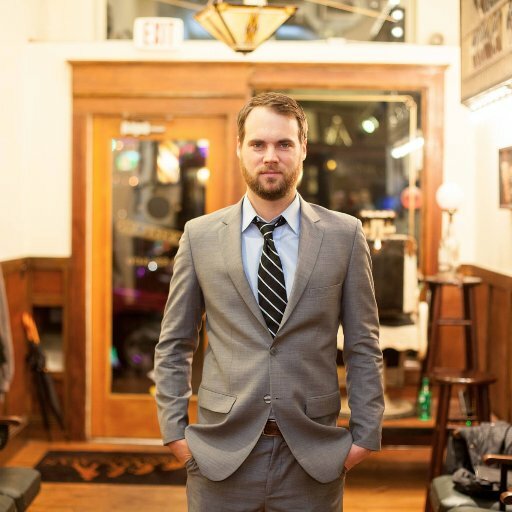 Digital media pro Anthony blogs about increasing efficiency and productivity in copywriting and digital media, especially for a new generation of freelancers. Why Anthony Chatfield is a Top Work from Home Resource: Anthony offers practical tips to maximize your time and grow your career, with an extra emphasis on effective marketing and blogging. Job-finding site Indeed runs an engineering blog to help job seekers stay on top of tech trends. Why Indeed Engineering Blog is a Top Work from Home Resource: Read up on what other engineers are up to and how to integrate new trends and research into your career. Kimberly merged her corporate and home lives to work from home and grow her own business; she blogs about all kinds of issues facing work-at-home moms. Why Mom in the City is a Top Work from Home Resource: Kimberly uses her own experiences and advice to connect other home employees with top resources and a strong community. Perfect for moms looking to work from home, the blog helps connect women with potential employers and gives them the tools to be successful. Why HireMyMom.com is a Top Work from Home Resource: Great tips for the job hunt, including how to build a resume and an online presence, plus how to organize your work and office. Stacey Mathis provides copywriters for some of the top publications in the country; the blog shares how to grow your writing or web design business. Why Stacey Mathis Copywriting is a Top Work from Home Resource: Useful tips to build a business to work from home, including case studies and interviews with other freelancers. Glassdoor offers job reviews for thousands of companies and includes a variety of perspectives and ideas about working from home on its blog. Why Glassdoor is a Top Work from Home Resource: Great resources and tips for people considering working from home to maximize their time, career, and productivity. Showing how work is changing in the mobile world, this blog shares news about the freelance economy in a number of markets. Why GigWalk is a Top Work from Home Resource: Stay up-to-date on industry news, get inside staffing tips, and find your part in the new, home-based economy. Tip: Working from home every day can be an isolating experience - unless you can find supportive advice and words of wisdom from people in a similar situation. Fortunately, you're not alone - a quarter of people work at home at least some of the workweek these days, and some take time out to blog about their experiences. Share on Facebook "Best Work from Home Sites"